If you prefer you can donate via PayPal, either as a one-off or monthly. Please click the donate button. We have put some links together and if you buy items through those links we get a small donation. Please visit our shop by CLICKING HERE. Sign up on the Easy Fundraising site and then, as you shop with all your favourite retailers, we'll get a donation from the stores. This doesn't cost you a penny, the stores pay. There are over 600 popular retailers to choose from, including Argos, Next, Amazon, M&S and many more. If you are happier with the more traditional method of setting up a Standing Order, which come directly from your bank, then here is our Standing Order form. You can print it off, fill it in and return it to us and we'll do the rest. Don’t forget to complete the Gift Aid section on the form - thanks. As a rescue centre we use the generosity of the public to re-home five to ten healthy dogs each week. 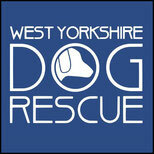 Please get in touch with info@westyorkshiredogrescue.co.uk to find out where you can drop off these things.